The season of change is here. As the air starts to chill and the leaves change color, the excitement of another new season is felt. Fall is one of the best times to remind ourselves what we are grateful for and to lay down some new goals - health and otherwise. So...what do you want to change and/or improve? Whether it is feeling more energetic, building up more strength, losing weight (for good!) or... making some extra time for mindfulness – you need to make yourself a priority. This newsletter is filled with a few of my favourite products and recipes to keep you feeling healthy and warm during the autumn months. I hope you enjoy them! 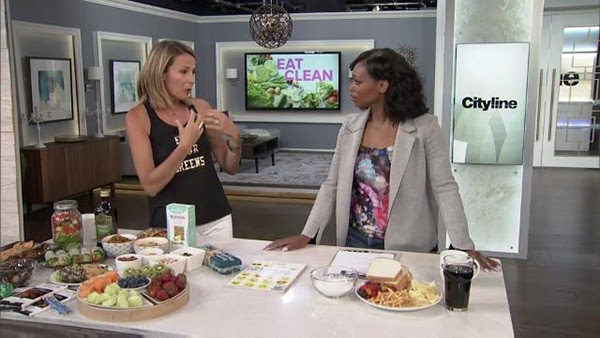 DO YOU WANT TO EAT CLEAN? I recently had a client who hit her goal weight thank me for helping her lose weight with humanity. This truly is the nicest compliment she could have given me. 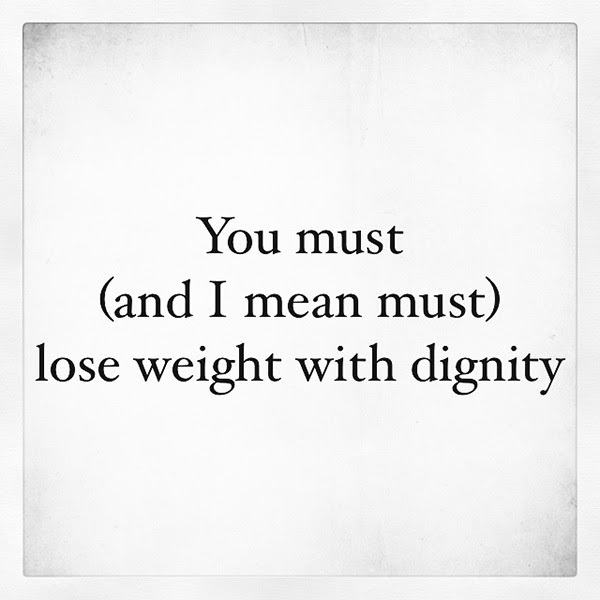 Along with implementing the best strategy I know to get people to their goal weight (hormonal balance), my goal has always been to help people lose weight with dignity. No injections, no shaming, no hundreds of dollars in supplements - just private, dignified, one on one weight loss with a team that is so dedicated, experienced and caring - they can't be beat. So... if you are seeking to lose weight and feel your best, know that health is a very noble venture. I promise you, optimal nutrition and clean eating can help you feel better than you have ever imagined. So... what are you waiting for? Don't forget Shulman Weight Loss clinics are 10% off this month! That is over $100 in savings off for any new program To book in for your free weight loss assessment, all you have to do is contact 1 of our 3 locations below. We can't wait to meet you! 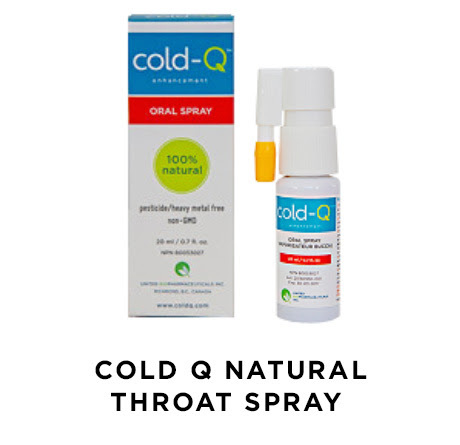 Cold Q is a natural oral throat spray designed with herbs that offer immune enhancing properties. At the first sign of a cold, spray Cold-Q to the back of the throat to hit the area where viruses hit. It is recommended not to eat or drink after spraying for 30 minutes. For more information about the herbal ingredients in Cold-Q visit www.coldq.com. Get into the fall spirit and make your own pumpkin spice latte right at home with this delicious, dairy free pumpkin flavoured creamer. 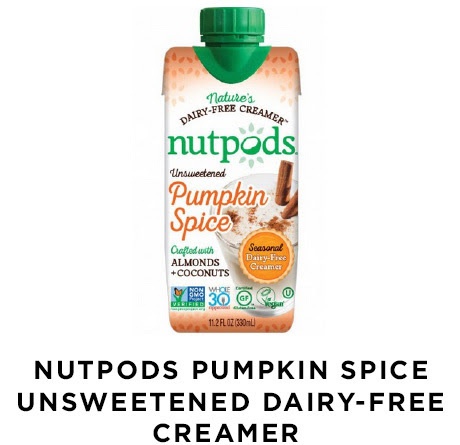 Nutpod creamers are created with almonds and coconuts, giving you a rich, creamy dairy-free product. Free from carrageenan, dairy, soy, gluten, high-fructose corn syrup, refined sugars & sugar alcohols – you simply can’t go wrong! The pumpkin spice is a limited edition flavor, so be sure to try it while you can. 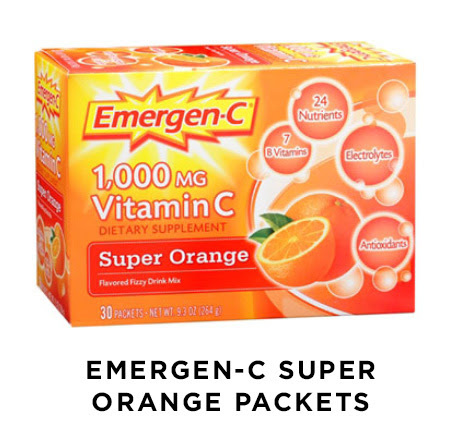 Emergen-C packets are filled with 1,000 mg of handy vitamin C, the perfect immune boost during cold and flu season. Simply add a packet of Emergen-C into a glass of water and mix well. Emergen-C also works well as an energy and electrolyte boost after an intense workout. Available in a variety of delicious flavours, keep a few packets in your purse in case you need a quick immune boosting drink. 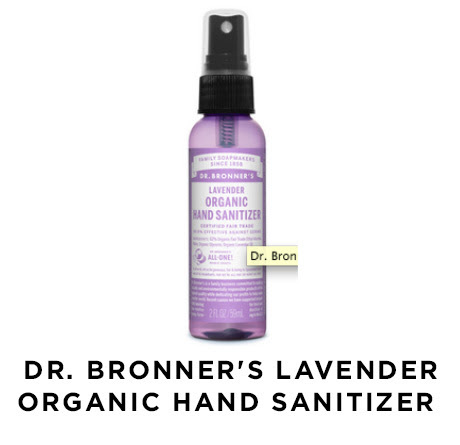 Dr. Bronner’s organic lavender hand sanitizer works to kill germs with a simple formula, including organic ethyl alcohol, water, organic glycerin and organic lavender oil. The hand sanitizer is free from all chemicals found in the conventional sanitizers, but is equally as effective. Throw into your child’s backpack or into your purse or briefcase for day-to-day use. 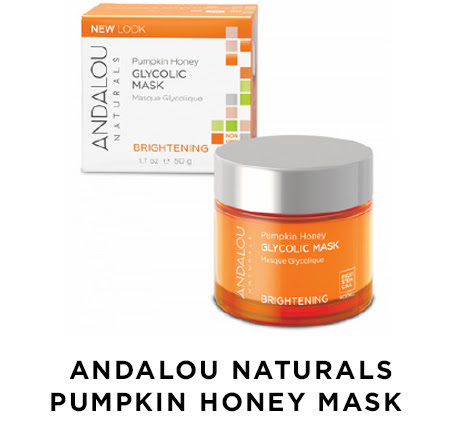 This nourishing mask by Andalou is made with skin fruit stem cells, vitamin C, manuka honey and organic pumpkin to hydrate and protect our skin from harsh environmental properties. It is rich in beta-carotene and works by gently removing dry, dull skin while exfoliating and resurfacing for an even tone, smooth texture, and a bright, healthy complexion. Apply evenly to clean, dry or damp skin and leave on for 10-20 minutes. Rinse with cool water and pat dry. This moisturizing stick by Coco Kind helps to rejuvenate dry spots, protect skin from free radical damage and moisturize all day long. 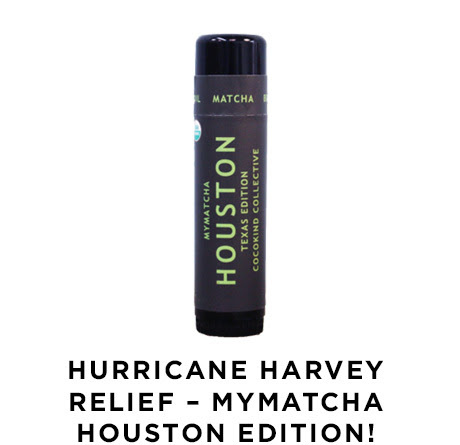 Best of all, 100% of the proceeds from this product will be donated to Hurricane Harvey relief effort. This versatile, anti-allergenic moisturizing stick can be used as an everyday lip balm, under eye balm, dark circle corrector, and dry area treatment. With just 3 organic ingredients used - virgin coconut oil, beeswax and matcha tea powder - you can feel good about using it on sensitive skin areas. Add all ingredients into blender and blend on high for one minute, until creamy and smooth. Heat oil in large pot over medium to high heat. Add onions, garlic and celery and cook until onions are translucent. Add the carrots and parsnip and cook for another 2 minutes. Add vegetable stock and mix together. Bring mixture to a boil and cook covered for 20 minutes, or until the vegetables are soft. Add paprika, garlic powder, chili powder, sea salt and pepper. 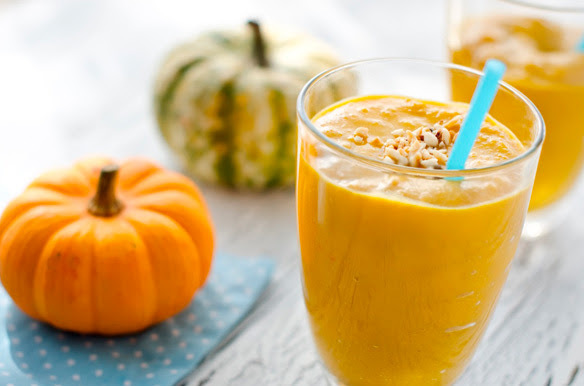 Allow soup to cool, and once cooled, put into a blender. Blend until smooth. Heat soup up and serve warm. In a large mixing bowl, combine kale, broccoli, cabbage, apples, Brussels sprouts, cooked quinoa, pomegranate seeds, and pumpkin seeds. Toss to combine. In a small separate bowl, add lemon juice, honey, cilantro, apple cider vinegar, mustard, olive oil and sea salt and pepper. Whisk together until well combined. Drizzle the dressing over salad and toss to coat. Wash sweet potatoes and cut in half lengthwise. Using a spiralizer, shape the sweet potatoes into curls. Put spiralized potatoes into a bowl and add olive oil, paprika and cayenne pepper. Toss well to coat the potatoes. Lay the coated sweet potato curls onto a parchment lined baking sheet and put in pre-heated oven for 20-30 minutes, until cooked. Switch to broil for the last 5 minutes for crispy sweet potatoes. I think we can all agree – the demands of life often put a healthy lifestyle on the back burner. In order to deal with the craziness of modern life, New York times bestselling author, Joyce Meyer has created a practical plan for achieving good health, one day at a time. Her easy-to-use 12-step plan for good health will help you develop life-changing habits that create a permanent shift. 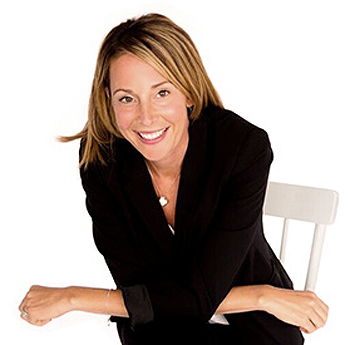 By following her simple yet effective tips on eating, exercise, rest, and stress management, you will unlock a new level of well being, empowering you to live a full, fulfilling life.